Oh, Cannes… Located only 30kms from Nice and 10 from Antibes, this French Riviera gem has a lot to offer. It’s a city of many festivals, white sandy beaches and palms. A perfect blend of provincial charm and glamour. Also known as the capital of the seventh art. Well, Cannes is much more than that. Although a relatively small city, with just around 75 000 inhabitants, it does not fail in delivering fun activities and destinations for people of all ages. In our last article about Cannes you could read all about Why a trip to Cannes during the day is a must. In this article we focus on giving you a fun overview for the nightlife, Cannes has to offer. We present you most famous casinos, musical & theatrical events, as well as bars and clubs. Like in the rest of the French Riviera towns, the ‘rebirth’ of the city happened at the beginning of the 20th century. And one of the main reasons was because of first casinos were being built. The first being Casino Municipal in 1926. Nowadays Cannes is the only city on Cote d’Azur (except for Monaco) that has three casinos. The most famous one is the Casino Barriere La Croisette. Then the next one is Palm Beach Casino. The last one is the Casino Barriere Les Princes. This kind of traditional gambling is available all year long. Gambling is usually connected with people who have enough money, maybe even more than they need. For that reason, all other facilities in the area are appropriate for casino-goers. This environment is favourable to recreational and gastronomic outings. There are tens of dozens of restaurants, piano-bars and discos. There is a little bit for everyone. It doesn’t matter if you are a gourmet, a party lover or a night owl – Cannes has something prepared for all of the above. In Cannes, everyone can attend great musical and theatrical displays, such as Nuits Musicales du Suquet, Concerts by the Orchestre Regional de Cannes PACA, Actors’ Performance Festival and Festival d’Art Pyrotechnique. 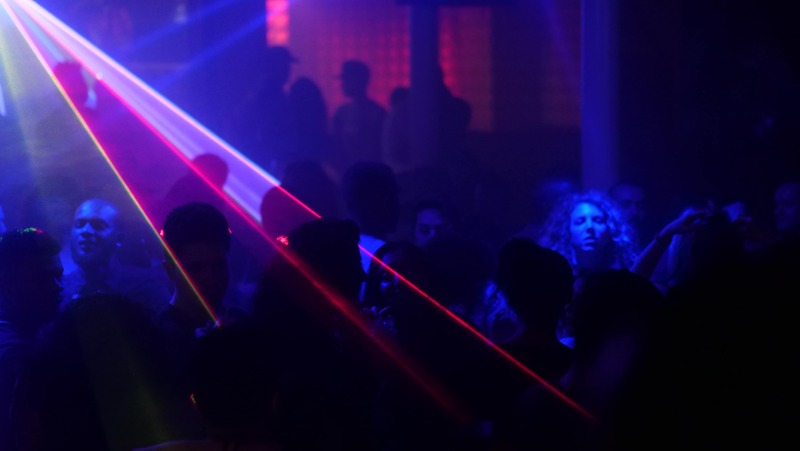 Bars in night clubs close at 5:30 am, however you can stay until 7 am. Safety is the most important thing. The aim is for you all to be able to take a bus or a train home instead of driving! Leave the car at home – for summer, excellent night bus service runs till 2.30am and on the normal day buses start at 5.30am. Not as good, but a winter service is also available. Another option you can choose is taking an UBER or a regular taxi. Hidden in this quiet street is a convivial spot to enjoy an evening among friends, you can sample the traditional food served on boards to encourage sharing. The ever-present sommelier and owner Cedric will help you choose the right wine for the right moment. Beautiful and festive place. Perfect for having a cocktail or enjoying some quality time with friends. So there you have it! This was a brief Cannes nightlife travel guide. For any other information, you can visit the official site of the tourist office in Cannes.